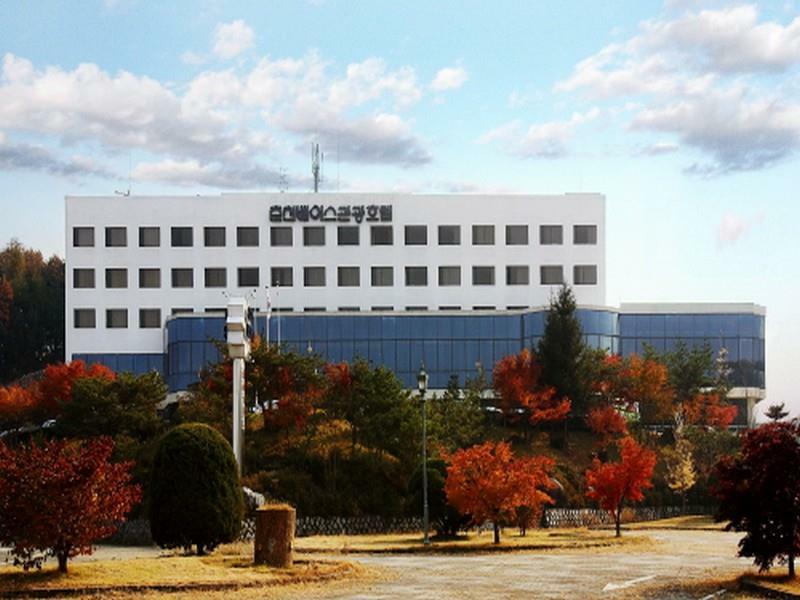 ﻿ Chuncheon Bears Hotel, Chuncheon-si - SAVE ON AGODA! Have a question for Chuncheon Bears Hotel? Well-positioned in Gangnam-dong, Chuncheon Bears Hotel is the ideal point of departure for your excursions in Chuncheon-si. From here, guests can enjoy easy access to all that the lively city has to offer. Also within easy reach are Animation Museum, Ihwa Beauty Clinic, Chuncheongyohoe Baekhwajeom. At Chuncheon Bears Hotel, every effort is made to make guests feel comfortable. To do so, the hotel provides the best in services and amenities. Guests of the hotel can enjoy on-site features like free Wi-Fi in all rooms, facilities for disabled guests, car park, room service, restaurant. Chuncheon Bears Hotel is home to 78 bedrooms. All are tastefully furnished and many even provide such comforts as internet access – wireless, internet access – wireless (complimentary), air conditioning, desk, mini bar. Besides, the hotel's host of recreational offerings ensures you have plenty to do during your stay. 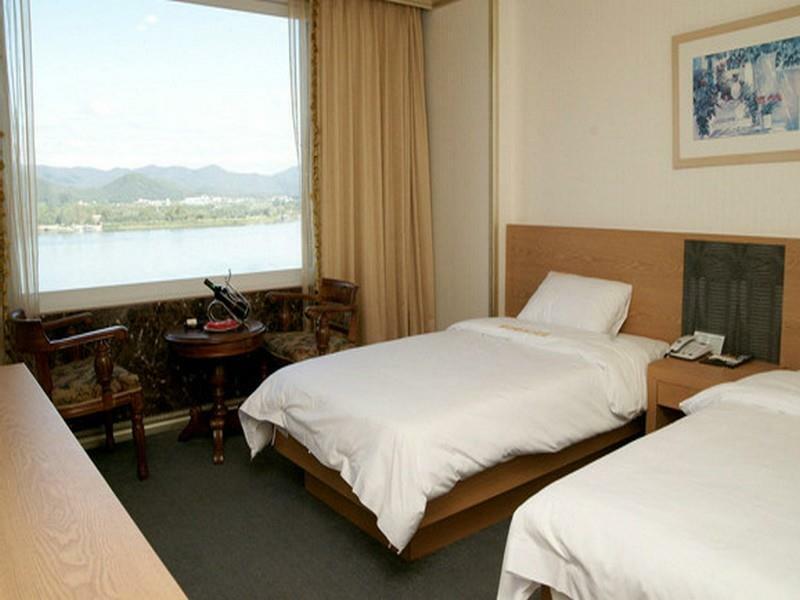 Whatever your purpose of visit, Chuncheon Bears Hotel is an excellent choice for your stay in Chuncheon-si. It wasn't the best time of the season when I visited Chuncheon. It was too cold and bleak. But I can imagine if I went there a few weeks ago, when the maple trees were still turning colours, the almond trees were still in full bloom and the lake was not yet frozen, I would be seeing a whole different picture of Chuncheon. Just stayed one night. It was very comfortable. Don't book unless you have a car or plan exploring the area on foot. No public transporation, you can only take taxi there, is not expensive, but surchage is required when call from the hotel. The staff is nice and recently the ground floor is on renovation. Close to the miliary centre. Ondol is not confortable, please don't try. We stayed at this hotel for two nights. Nice room but small old bathroom. Towels were awful. Very disinterested reception staff, with poor english. The chinese restaurant was not open, so all we were offered was Korean food on the first night. Fortunately, we found Condominiumn just down the road which was great and served very nice food. Although the hotel is a little bit old, it still very clean and neat. It not so far away from the center of the city, only taking maybe 3000 won to go to the downtown by taxi. The view around the hotel is really good. They got lake and hill to see which u just need to open the curtain. Near Chuncheon bus terminal and Namchuncheon train station. We stayed for four hotels during our stay in South Korea (which we booked through Agoda.com) and all hotels had friendly staff except this hotel. The staff was helpful for our needs however all done without any smile. The amenities in the room including shampoo was not free. You have to pay for it with HIGH price. The staff could speak little English. Air Condition is not on & outdoor swimming pool is not open because it is not summer yet. Transport is tricky. We took taxi to & from hotel. I had to ask for more towels (two of us in three bedroom but only 1 towel supplied). I also had to ask for soap from reception. Ondol room for 4 was small but acceptable. The price was a bargain. i thought the hotel was close to nami island but is not its 25km away and won taxi fare, hotel doesn't check customers in until 3pm, i recommend the standard style over the korean style, not overly impressed. this hotel is nice other than the fact there is no ac. the hotel staff was very helpful, however, and made up for that by providing information and direct transportation to the city. there is a selection of food in the hotel but don't bother, eat the local dakalbi! this hotel is located nearby the river and not far from chun cheon city, the staff here are helpful and can speak english very well. the room is clean and tidy. it's a nice to stay hotel. The hotel hardware was old but in general was clean and comfortable. Free wifi service was also a plus. It is close enough to the marathon starting arch and the most of all has excellent lake view. In my opinion the hotel can further improve its service by arranging free shuttle service to send hotel guest between hotel and town (e.g. ChunCheon Myeong Dong). Expecially on the ChunCheon marathon event, the hotel shall arrange free shuttle to send hotel guest to the Gongjicheon starting arch. generally it was a satisfying stay, since we were only seeking for a place to stay for the night and leave for nami the next day. though the accomodations were a bit outdated, the hotel's proximity to several tourist spots even's this out. The hotel is old. Room size was okay for 3 pax but the air conditioning was not working well. Told the hotel staffs twice and they said they have fixed it. We ended up open the window so that the fresh air could come in otherwise we would be suffocated.